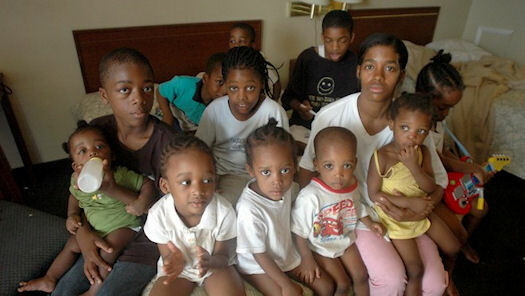 The LanceScurv Talk Show - 15 Kids? Is Angel Adams A Master Manipulator Of The System Or An Entitled Victim Of Society? The LanceScurv Talk Show – 15 Kids? Is Angel Adams A Master Manipulator Of The System Or An Entitled Victim Of Society? 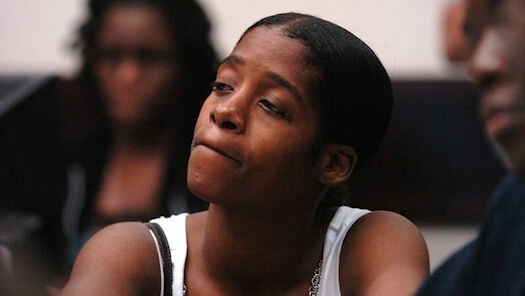 You would have had to be living under a rock or in a cave to not have heard the buzz about the woman from Florida named Angel Adams who made the headlines because of her demand for help to take care of her 15 children who have been living below the poverty line recently. Her story has unleashed a virtual tsunami of responses that have encompassed the full range of what you might expect both good and bad. Her attitude of entitlement displayed on television for the world to see really angered the majority of viewers and brought that age old debate up to the forefront of whether the individual is responsible for the well being of their children or is society supposed to foot the bill? Has Angel Adams made a life of manipulating the System or is she entitled to getting the help she needs that many others merely consider a free ride? Should she have shown some restraint and self control if she wasn’t financially able to care for her children or should she just continue to throw caution to the wind and demand as she has for someone else to pull her through? And what of the fathers of these children? How much responsibility do they have to the children and how much have they added to the burden in the very public plight of the infamous Angel Adams? Hopefully we can discuss these and so many other surrounding points on this touchy subject and I encourage you NOT to miss this episode of the Lance Scurv Talk Show because we are going to let it ALL hang out! Showtime: Friday December 9th @ 10 o’clock p.m.
Place: The LanceScurv Talk Show <—Click Here. Remember, you do NOT have to be on a computer to listen in or participate in the discussion, it can all be accessed through your phone if that is convenient for you! Previous : The Gantt Report – NNN Your Source for Black News! Next : LanceScurv TV – Angel Adams & Her 15 Kids: Master Manipulator Or Entitled Victim?